In our previous post, we began discussing the symptoms of caregiver burnout. Today we'll finish the discussion from AgingCare's informative article. 4. You are irritable and snappish. Tom and his two siblings share caregiving for their adoptive father. He did not realize that the stress had affected him until Jim and Danette each asked why they’re usually laidback baby brother had become so short-tempered. This reaction to stress is as common as it is damaging. Pushing away your loved ones, even unintentionally, can weaken your support system and thus worsen your stress level. Zatanna has been her father's caretaker ever since Giovanni had a major stroke years ago. While she used to keep up with loved ones via phone calls and social media, she now rarely reaches out to any of them. Zatanna is exhibiting self-isolation, behavior that might indicate depression. Sometimes caregivers feel that all their identities have been subsumed by caregiving, and that they cannot or should not make room for other activities or people. 6. You stop caring for yourself. Jaime just doesn't feel like making an effort anymore. His sister used to tease him about his elaborate hair care routine, but he hasn't even bothered using product in months. He says that he's too busy taking care of their mother, Bianca, to go out anyway, so why bother? 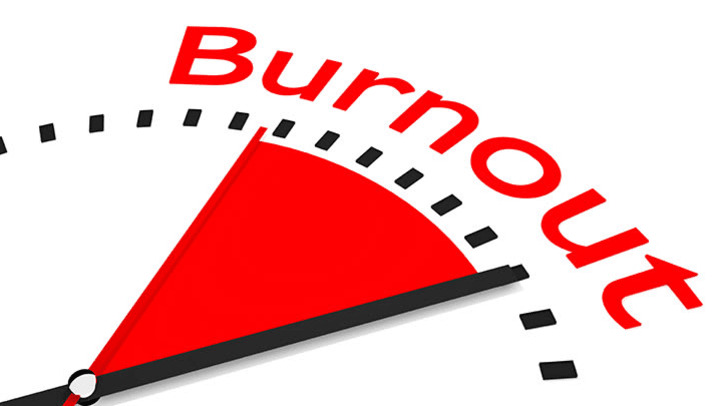 Believing that self-care has become too much trouble is a major red flag for burnout. As AgingCare reminds us, caregivers who are ill themselves cannot take care of anyone. Push through any guilt or reservations you might have and seek help immediately if you see any of these symptoms in yourself. You deserve to feel better. You deserve the same excellent level of care that you provide to your loved one.